So here comes your dogs' favorite part about having a dog birthday party. The Cake! Dog birthday cake recipes is a little different than your traditional people cake. Dogs are much more sensitive to sweets, their system can’t handle sugar like humans can, and honestly they would really prefer something like a meat cake. 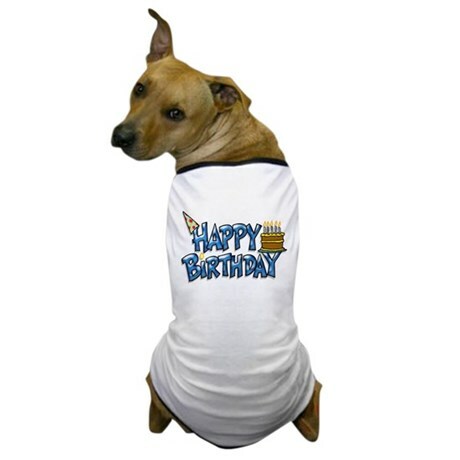 Dog birthday cake recipes, meat cake is just like making a meat loaf however, this recipe does not include onions, onions can be toxic to dogs. For a list of dangerous food for dogs, visit my dangerous food for dogs page. In a large bowl, combine your ground beef, eggs, bread crumbs, and shredded carrots, mix these ingredients well; if your mixture becomes a bit dry you can add a little water. Fry the bacon, removing excess grease; Crumble, and add to the mixture, or if you prefer you can use the bacon and or carrots as decoration. Mold your meat mixture into a round cake shape making sure to keep the same thickness from middle to edges. Bake in covered baking dish at 350 for an hour and a half. While your meat cake is baking, you can prepare your frosting. For frosting we will use organic instant mashed potatoes, just prepare per box instructions, and frost your meat cake. A healthy option for frosting, is mashed whipped sweet potatoes. Some dogs can be sensitive to potatoes if you prefer you can easily use blended cottage cheese. A great idea for piping is melted cheese, natural cheese spread, or simply add natural food coloring to your potatoes or cottage cheese. For more canine cake, pie, and desert recipes. Read, Rovers Recipes and make everything for your dog party from scratch. Combine Flour, and Baking soda then add your remaining ingredients. Mix well, pour into 8 inch round pan. Bake at 350 degrees for 30 minutes. 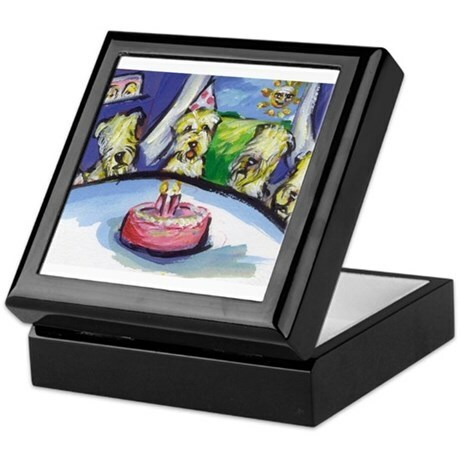 You can use a 9x10 Pan or even get a dog cake pan, try a fun dog shape like a bone, fire hydrant, dog house, or even the likeness of your friendly neighborhood squirrel. You may need to adjust your cooking time and temp accordingly. Ice with pureed cottage cheese, peanut butter, plain yogurt or sugar free frosting made especially for dogs. Visit my Dog cake recipes page, for more free dog cake recipes. I have found a terrific, reasonably priced resource for everything dog cake related; with multiple flavors of dog cake mixes, dog cake pans, cookie cutters, and all kinds of great dog friendly cake decorations. Click here to visit K9Cakery.com. 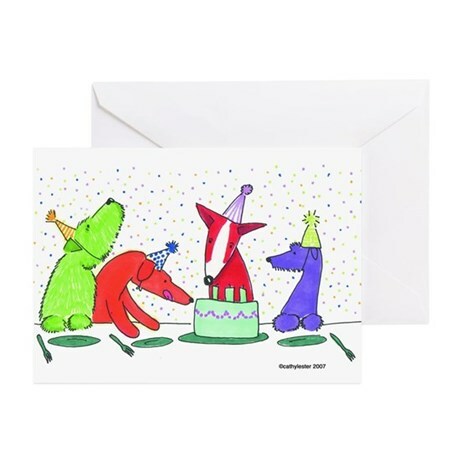 Party Dogs Greeting Cards Plus a great selection of dog party favors. Best recipe for apple cake!